Ecosystems of California, a comprehensive reference on California's remarkable ecological abundance, has won double honors in the 2017 PROSE Awards, the publishing industry's top awards for professional and scholarly works. 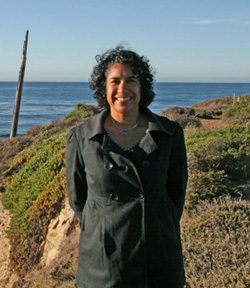 Coedited by Erika Zavaleta, professor of ecology and evolutionary biology at UC Santa Cruz, and Harold Mooney, professor of environmental biology at Stanford University, Ecosystems of California received the PROSE Award for Excellence in Physical Sciences & Mathematics, as well as the Environmental Sciences award. 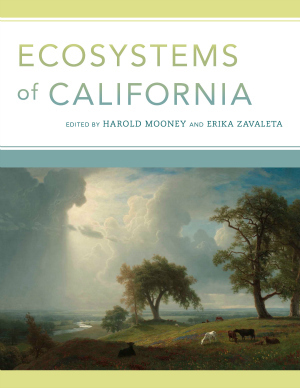 The book provides an integrated assessment of each major ecosystem type in California—its distribution, structure, function, and management. A comprehensive synthesis of our knowledge about this biologically diverse state, Ecosystems of California covers the state from oceans to mountaintops using multiple lenses: past and present, flora and fauna, aquatic and terrestrial, natural and managed. Contributors to the book include the leading experts on each ecosystem and on topics such as climate, fire, and land use. The result, said Zavaleta, is the textbook she wished she had when she was a Stanford undergraduate more than 20 years ago. At the time, there wasn't a book that looked systematically at the history, dynamics, and conservation of California ecosystems. The 2017 PROSE Awards recognize how extraordinarily well Ecosystems of California has filled that gap. Since 1976, the PROSE Awards have been organized by the Professional and Scholarly Publishing Division of the Association of American Publishers (AAP) to bring attention to distinguished books, journals, and electronic content. The awards are judged by an independent, 20-person panel of peer editors, publishers, and librarians.